May 2016 - An Opportunity to Celebrate Life! I really like the intent of living life full out because it’s not saying live happily or lovingly or fearless. Not that any of those options are bad – just somewhat idealistic for me. I am also someone who lives through my loving. Now, my definition of loving isn’t always about being sweet and nice. My form of loving is being honest and true, which sometimes creates discomfort. Also, my face doesn’t make my loving all that obvious. An earlier post Being a Grumpy-Faced Leader talks more about my face. Not that a smiling face as anything really to do with the depth of one’s loving, but I do sometimes wish my wasn’t quite so intense. Fearless, me? Well, no. Most of the things I love to do the most, bring up fear! I just feel the fear and do the best I can with it! But that’s why Living Full Out – makes so much sense. Living full out includes the fear, the pain, the anger, the joy! Kumi knew that and so do I! My tag lines or how to’s came from my years at The Haven. It was at The Haven that I first discovered the power in curiosity. Since then I have used my curiosity over and over again to help me connect to people who think and live differently than me. I have come to believe it really is the secret sauce in any relationship. 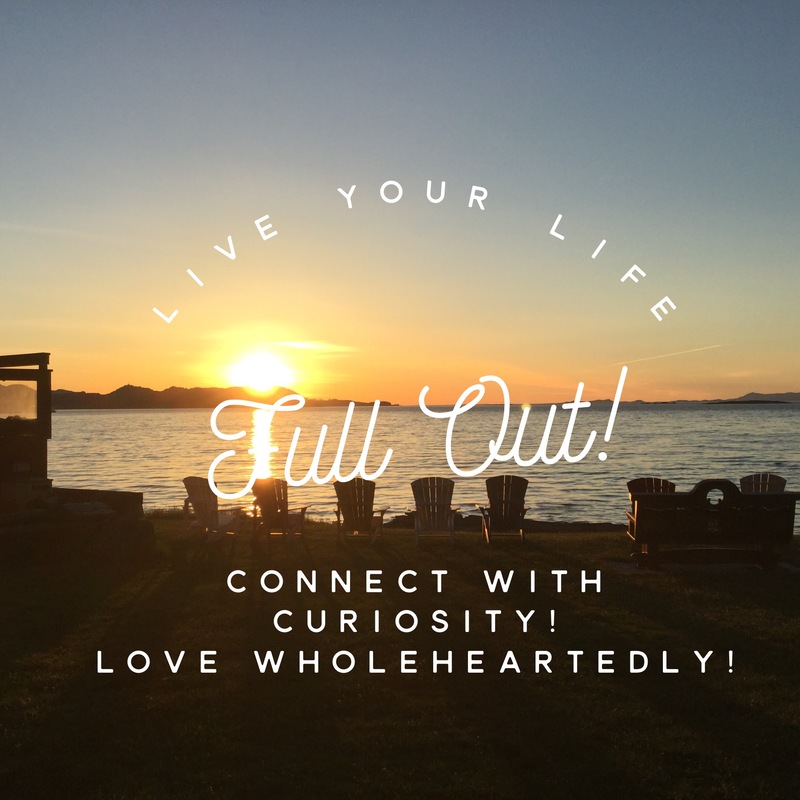 Living wholeheartedly – well my heart can hold a lot – cracks and all. To me, the wholeheartedly means embracing the cracks, the sorrow, hurt, and anger that is a part of living and loving. The human heart is much like a lava rock – it can withstand tremendous heat! I am writing about this today because sometimes living life full out isn’t easy. Since returning from leading the Living Alive Phase I have been struggling to find my Montana rhythm. But riding through the melancholy is just as important as riding the big waves of joy, especially if I want to live full out. Got to love the dark spots too!